Cloud Mobile · How To Make A Cloud Mobile · Sewing on Cut Out + Keep · How To by Kerry P.
This mobile is perfect for a baby or child's room and is a great way to use up scrap fabrics or small pieces of special fabric. It's not difficult, just a little fiddly in parts. Draw your cloud template on paper or card. I made the base of mine about 30cm long. 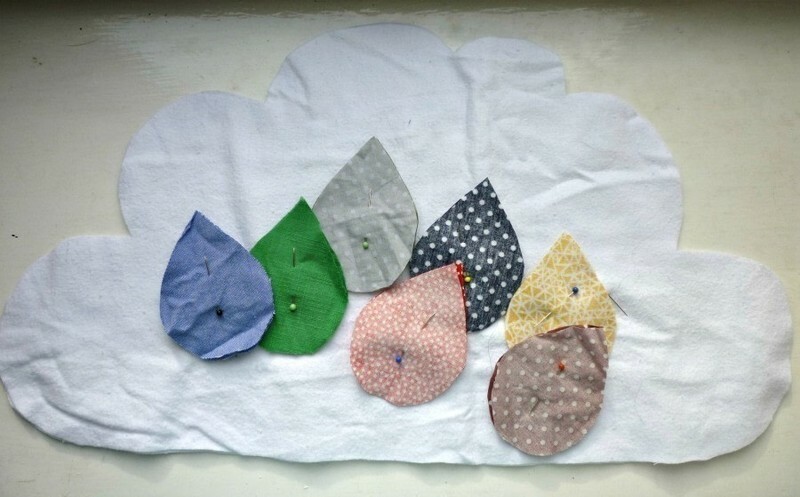 Bear in mind that your seam allowance will make the cloud slightly smaller. 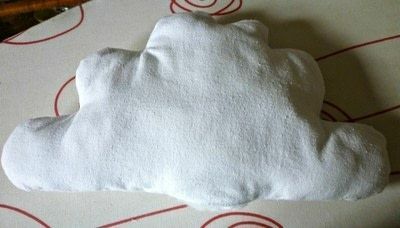 I drew a cloud of the size I wanted then added on a bit extra for a 1/4" seam allowance. You will also make a raindrop pattern at the desired size- not too small or it will be fiddly to sew. You might want to draw it on a folded piece of paper to ensure it is symmetrical. Get out your scrap fabrics and sift through to decide on colour combinations. 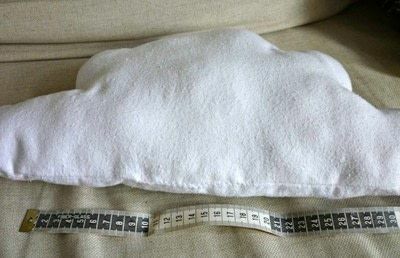 Sew the cloud with right sides of the fabric together - I used a 1/4" seam allowance as I had allowed for this when making my template. 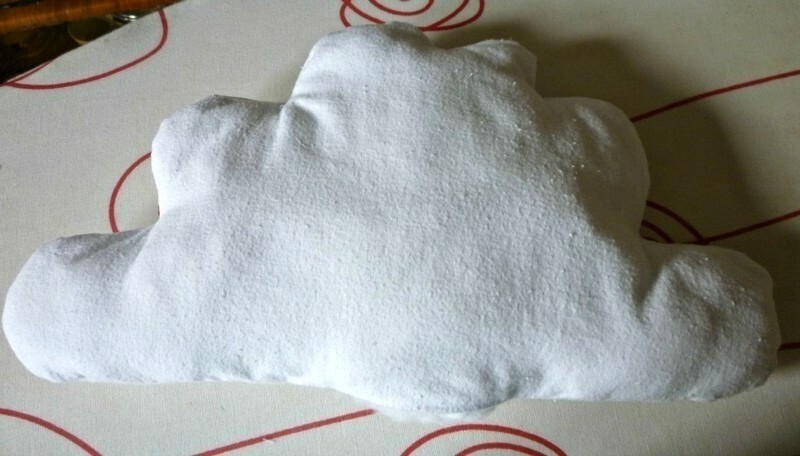 Leave a gap along the lower edge of about 3 inches so that you can add stuffing. 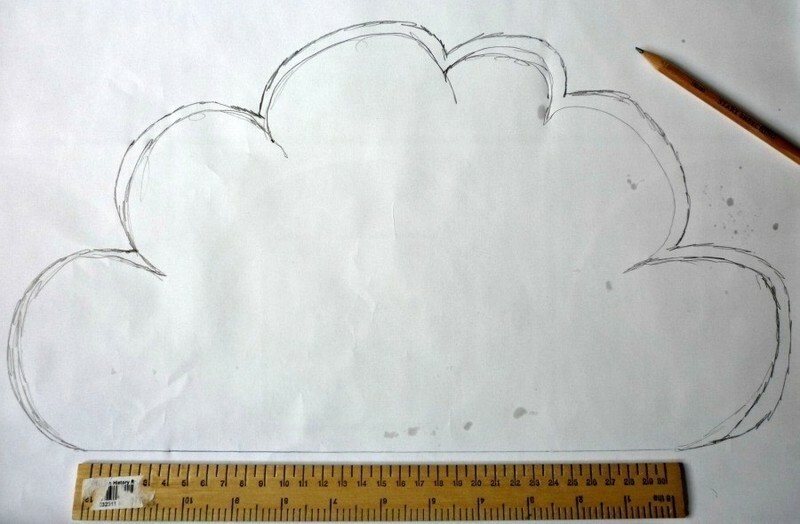 Cut notches around the edges of the cloud and clip the inner curves. 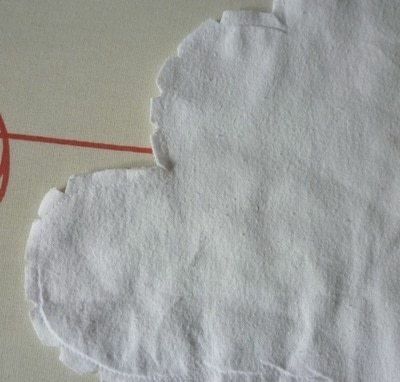 Turn right side out and use a knitting needle or similar to push out the curves of the cloud. 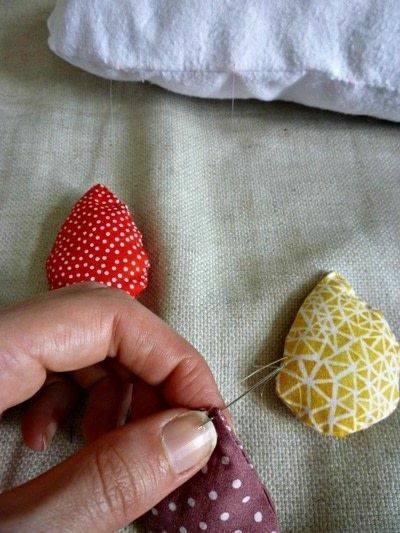 Stuff it with soft toy stuffing and sew up the gap by hand using a whip stitch or invisible stitch. 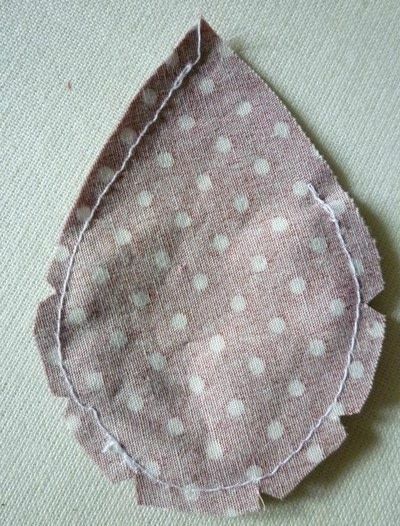 With right sides together sew together the raindrop pieces using a 1/4" seam allowance. Leave about a 1" gap on a straight side. Notch around the edges, turn right side out with the help of a knitting needle to create the shape of the drop and stuff through the gap. 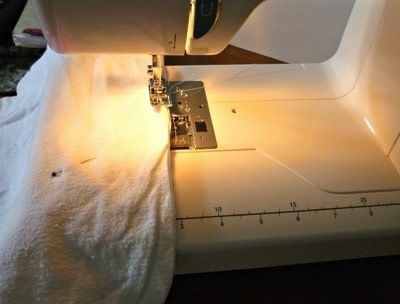 Sew up gap by hand. Lightly mark on the seam of the cloud where you would like the drops to be attached. I used a bit of red chalk, lightly applied. 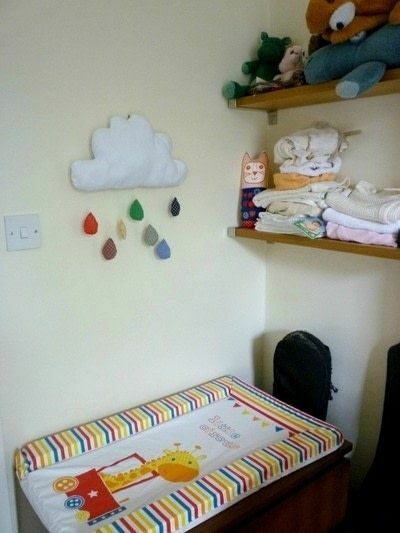 Set out the drop and cloud to decide on the arrangement you would prefer. I went for a random-ish distribution, but you might want to put them on a curve or in a line. Cut a piece of clear thread (I used thread I had for beading) and tie a triple knot in one end. Cut off any small tail close to the knot and thread the thread through from the back of the cloud to the front at the point you have marked on the seam. 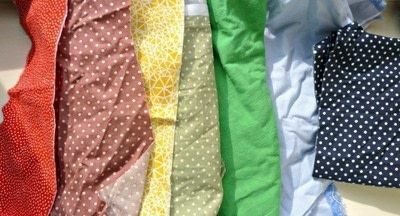 Thread through a couple of times at the desired length at the top of the cloud and tie a couple of knots for security. Cut off any thread ends. 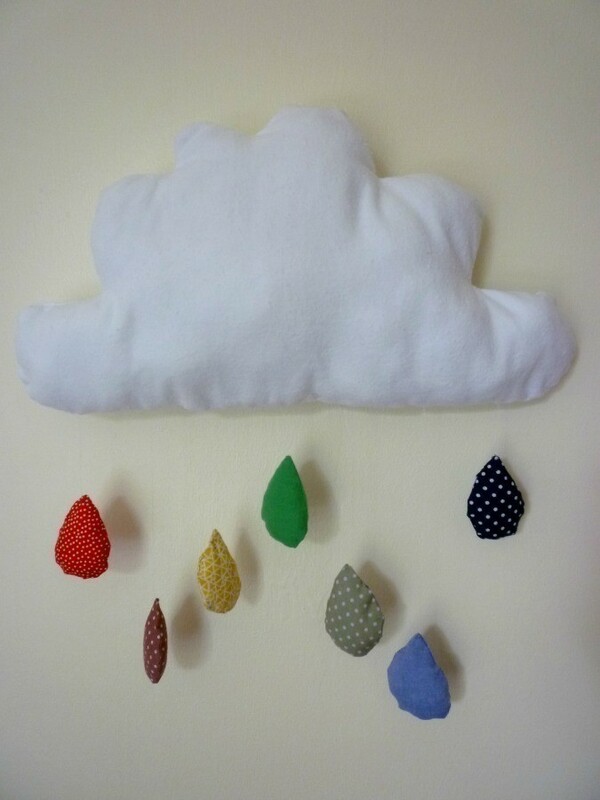 Continue for all raindrops. 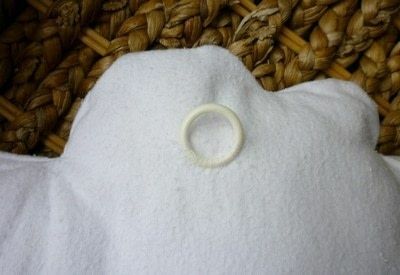 If using, sew the ring to the back of the cloud. Instead of a ring you might wish to use more clear thread attached to the top of the cloud instead, depending where and how you are going to hang the cloud. 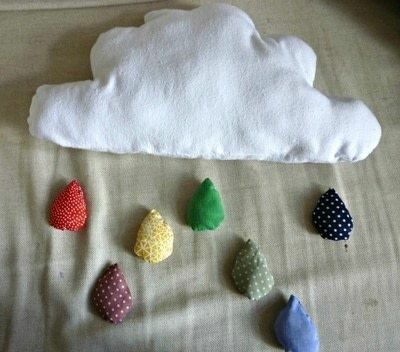 aw that is very cute, thanks for the idea!